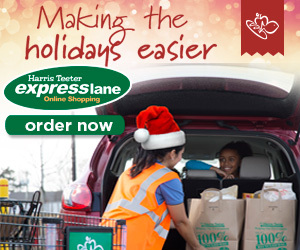 Order groceries w/Harris Teeter Express Lane!!! - Full Price...For What?! Order groceries w/Harris Teeter Express Lane!!! Harris Teeter’s Express Lane is here to make your life simpler and more efficient. Spend quality time this holiday season with your family and let Harris Teeter do your grocery shopping. Do you love the convenience of online shopping? The newest trend in Grocery Shopping is here to make your life simpler and more efficient. Try the Express Lane at one Harris Teeter’s locations today. Express Lane can save you up to 2 hours per trip each week; your time is valuable, let Harris Teeter make your life simpler and more efficient. To get started, just click here select your city and start shopping!